The Veterans Writing Project picked up my story “Beer Here” for their publication, O-Dark-Thirty. 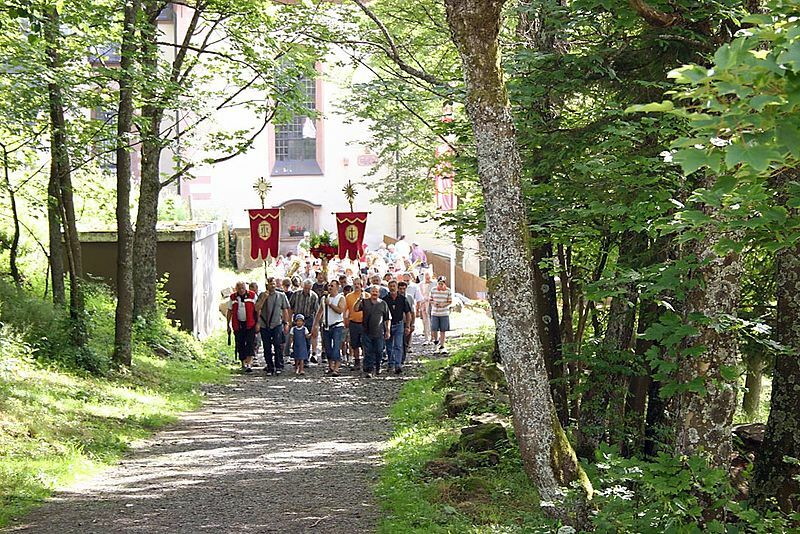 Procession from the Kreuzberg monastery up to the crosses on the mountain. Picture courtesy of Wikpedia. Barb Hoskins, a Cold War-era CI investigator runs into a platoon-mate from Basic who is on her way back to the Land of the Round Doorknob. They go out for a last-minute fling at a monastery, famed for its beer, and wind up with more action than they bargained for. The story is one of a series that will be part of a book, Culture Shock.